Connect Firm offers Earn 15% per sale by promoting our Any Services. Join our affiliate program by just creating a free account and get $10 immediately. As our service price, you can earn up to $300 per sale !! Promote anywhere anytime.. Give us business we give you money! Our affiliate program! offers 10% commission for each sale. As for example, if any of your visitors purchase our Service of $100 then you will get $15 commission. You will get $10 commission just for signup to our affiliate program! We will pay them with first payout of earned commissions. We pay our affiliates always on 15th day of the month for sales referred in last month. We have two payout methods as Paypal and Moneybookers. No matters if you don’t have Paypal because skrill is a popular alternative to get paid. You will receive commission payouts on the 15th of every month (if your balance is at least $50) via PayPal or skrill. What if I make a deposit but don’t buy a site? If that happens, your deposit will stay on your account and you can use it on our next batch of pre-made sites or for one of our Custom Packages (contact us before you place the order). Do you just sell the sites over and over again? Big NO! We’re all professionals here. This is what we do for a living.Every site we create is built around your product. Everything you get will be 100% unique and catered to your needs. Why can’t I see the URLs? In order to filter out copycats and marketers with ‘bad’ intentions, we’ve decided to hide the URLs and main keywords from the general public. Can you help me get back-links and traffic? Yes, we can help you with the development work. Send us an email, and we’ll discuss the details. Yes, of course. We will guide you step-by-step through the whole process. What happens after I purchase the site? After you complete the purchase and we verify all the details, we will contact you via e-mail/skype and push the domain to you right away.After that (and if you decide to keep the benefit of owning a VPS SSD hosting for free), we’ll create a WordPress user with admin privileges and share the login details with you.You will have a complete control over the site within 24 hours of your purchase. Niche difficulty is our own metric for determining how tough will it be to rank #1 for the main keyword. ND 1 means that it’s going to be really easy to rank,while ND 10 means that it’s going to be really hard, if not impossible. Most of our sites will fall into 1-5 category.If you put in the necessary effort and follow our detailed guidelines, you won’t have any problems ranking for KD 5-7 keywords. How should I get start? Choose a proven online business model For example, Blogging, Product review sites, E-commerce.Choose a profitable niche and start. Can I select any other social network besides Facebook and Twitter? Yes, of course. Our service is not limited to Facebook and Twitter accounts. We’ve already worked with Pinterest, LinkedIn, Tumblr, Instagram and others. You can choose any channels from here. How do you help drive traffic to my site? Target audience. We will get to know your business and collaborate with you to identify your target audience so we can market your products to the right people. Keyword research. Once we determine your target audience, we use a variety of professional tools and techniques to select keywords that deliver the most relevant traffic for the lowest cost. Ad copy and landing pages. We write engaging ad copy and select relevant landing pages for each of your ads to give your traffic the best chance to convert into sales. Implementation. Every campaign is different – our team will implement your campaigns with the right mix of settings to achieve your objectives. Analysis. We continuously analyze campaign performance and perform regular optimization activities that help your campaign succeed. Do I have to be a Connect Firm customer to use your PPC services? The deliverables listed in our PPC plans are only for Connect Firm customers. Although we’re able to offer our PPC services if you’re using another ecommerce platform, we don’t implement tracking parameters and snippets on such websites – in this case, you’ll need to implement any code on your own. Our team has years of experience in search engine marketing research and analysis. This allows us to determine the most effective and relevant keywords for your site and to create engaging ad copy that makes shoppers want to browse your site and buy your products. In order to be successful, your campaign needs to be monitored regularly, which is something our team will do while you focus on building your business. We make sure that your ads are doing what they’re supposed to- driving targeted traffic to your website. There is no guarantee on the number of conversions produced by clicks. There is, however, a correlation between effective PPC and added sales. Remember that there are many factors involved in producing sales (design, pricing, product descriptions, etc.). We’ll get the traffic to your website, but it’s ultimately up to you to finalize the sale. How is traffic qualified and targeted? Our team places ads for your business on major search engines, which appear when shoppers search for the products or services your business offers. Traffic is targeted through the keywords we select and qualified through our creation of effective ad text for your business. What is your PPC service? Our Pay Per Click (PPC) management service leverages the years of experience our team has to help your company achieve its goals. Whether you’re looking to boost sales, increase leads, or just generate high-quality traffic for your site our team of skilled professionals can help you succeed! How can I ensure that you are working? Connect Firm’s working process is completely record based. We report you back weekly/Bi-weekly/monthly where you get our working record. You can evaluate your social influence engagement from this one as well as from our SMM analytic. Is this a 24×7 service? Connect Firm social media marketing team is available for you from Saturday to Thursday during regular business hours. If you need to post or tweet at any time even during off-hours, we will make another schedule for it. But we interact with your fans, followers, and community members only at office time. Will you incorporate our social media posts on my website or blog? No, we won’t incorporate any of your Social media posts into your website or blog. Do I get to approve posts? At the beginning of our campaigning, we will show you all our draft posts, if you think this is ok, then we will post it. We also need your suggestion & feedback for future posts.This way will be helpful for your social media manager to establish your company’s voice. As social media can be accessed at any time, so posts should be timely. Otherwise, the approval process can delay for two or three weeks to upload your posts. I think if the online community is well organized this won’t hamper your process. How will you know what content to post for my company? Firstly, it’s our duty to research on our clients full business area. Connect Firm team will analyze your industry & sets strategy for your content. We will take the responsibility to ensure that all your posts are relevant to your industry. If you want to take our product promotion service, you’ve to confirm our product pricing info. Will you design my Facebook and Twitter pages? Yes. I said it earlier that we have an expert designing team. Connect Firm designers will make your Facebook and Twitter pages design. But this service is not included in our social media service. You have to pay extra for designing your page. Will you handle all aspects of my social media? Not all but we will post regularly on your social media. Your FB page post, tweets & buzz handling is up to us. But if there’s any content related responsibility to your address, then it is up to you. Your business offerings like answering policy questions, order information & query, refund requests, any complaints, warranty issue, etc. will be your responsibility. Not directly but indirectly. Social media helps you to drive more traffic. So, there’s a lot of chance to convert your site visitors into your customers.Sales depend on not only advertising system but also on your product quality. So, you have to look on satisfying your shoppers to increase sales. But from our side, our expert team will give you full backup to manage your social marketing effectively. Do I need to have existing Facebook and Twitter accounts? No, it’s not compulsory.If you don’t have existing Facebook and Twitter accounts, we will set it up for you. On behalf of you, we will post on your Facebook and Twitter accounts. We will maintain interaction with your customers. On the other way, if you have already social media accounts, we will improve it, update profile info & manage your accounts. Is social media marketing useful for me? Why not? Today if you skip social networking sites, your door will be closed to access in many areas. There are a lot of Facebook and Twitter users who can be your future customers. So, keep continuing to connect with social site users. Please feel free to contact us using the form available here, choosing “Affiliate Question” from Subject. Alternatively, you may email us by clicking here. We’ll usually get back to you within 24 hours of receiving your message on weekdays, and within 48 hours during weekends and holidays. Where should I place affiliate links on my blog or websites? Can I promote Connect Firm on more than one website? Yes, absolutely. You can promote our services across one or all of your websites. The more links and content you place on your websites, the more qualified visitors you’re likely to send us — and this should translate into a higher conversion. Are websites out of the U.S eligible for your affiliate program? That’s completely up to you. We can help if you need something specific to promote Connect Firm your way, but your profit potential completely depends on your sales. 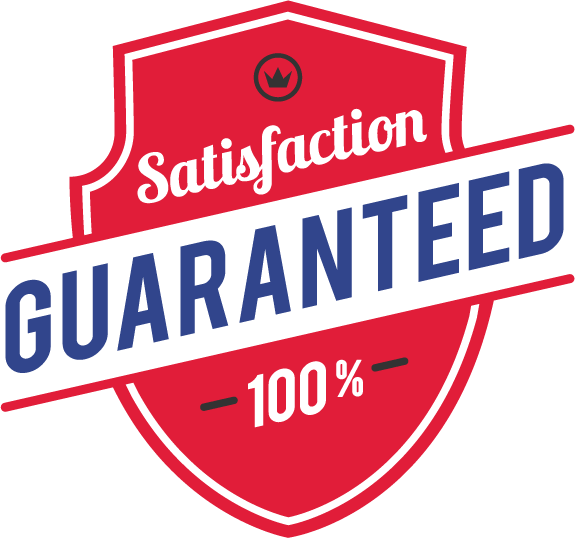 Our standard commission rate is 10% of every sale you make. How Does Your Affiliate Programs Work? Our affiliate program allows you to make money by referring customers to our website. You can do this by placing links, banners, service reviews, or any of the other content we provide you with on your website. Each time you refer a customer to us and that customer makes a purchase, you earn a commission. In every calendar month you will receive your commission payments via the payment option you select on your Affiliate account. 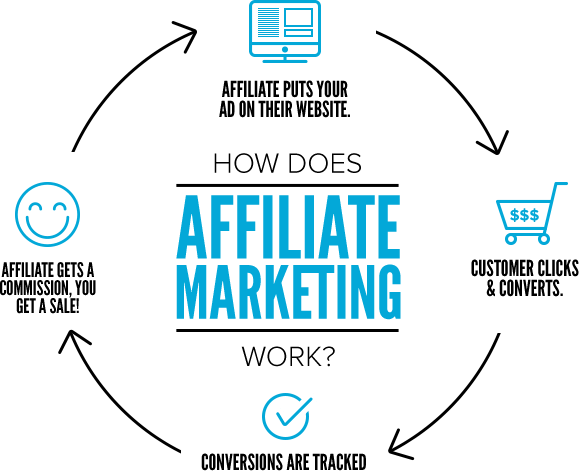 Our Affiliate Program is managed by Us . So you must sign up for an account — and then you can apply for our program at the same time. Our affiliate program financially rewards you for directing customers to our Services & Packages. When a product is purchased by a customer you refer, we pay you a commission for the sale(s). Copyright © 2014-18 Connect Firm Ltd, ~Developed by Jakariya Shakil & Our Design Team.